The colours are ablaze in our region form March through to May. 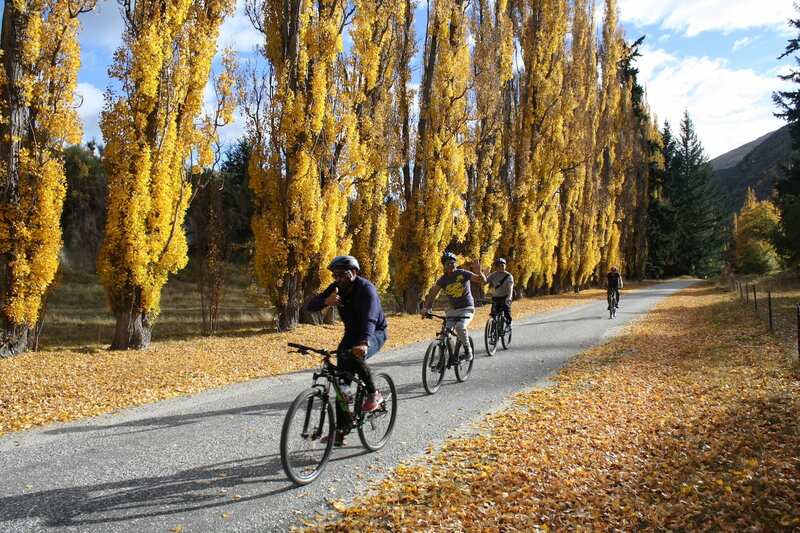 Fun fact: 95% of all New Zealand’s natives trees are “ever green”, but thanks to the gold mining history of Central Otago and the number of early settlers who introduced deciduous trees for nostalgic reasons, we experience what can only be described as an an epic Autumn display. 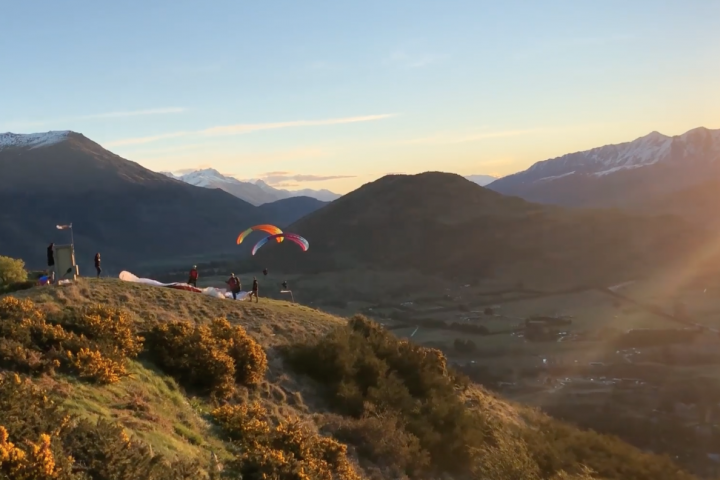 Queenstown itself puts on a fair display, but it is Arrowtown that can’t be missed. Luckily for you, this is where most of our tours begin. 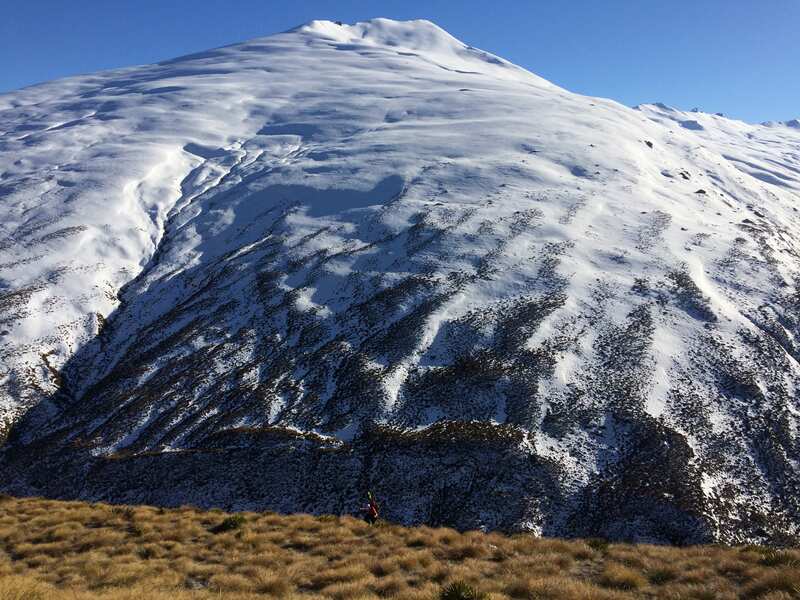 We shuttle you form Queenstown out to Wilcox Green (pictured below). Wilcox Green is a favourite location for Autumn pictures, but this is just the beginning! 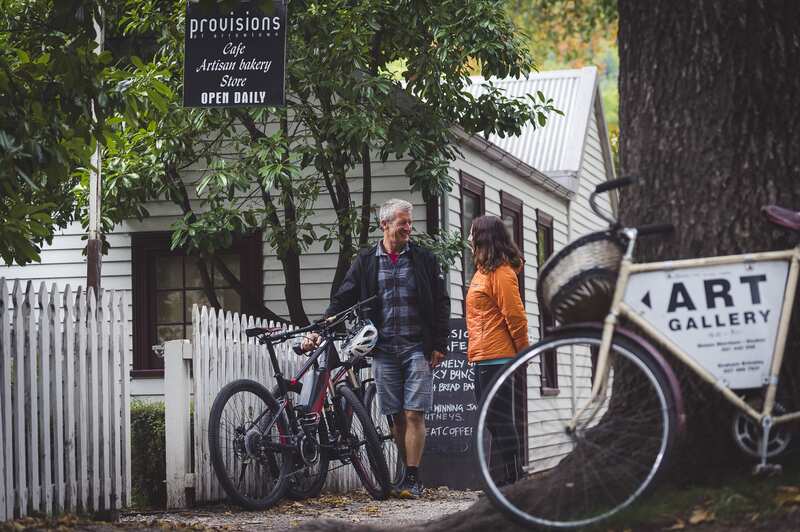 Make your way into Arrowtown proper and check out the main street, with it’s beautifully preserved gold mining history, complemented by the fiery autumn foliage. 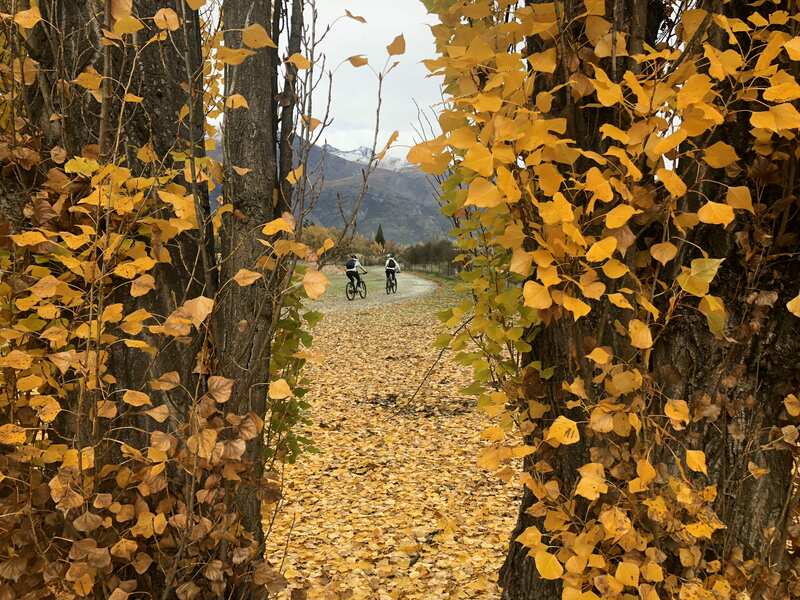 Ride your way from Arrowtown to the Gibbston Wine Region and see even more of the Autumn beauty! Or take any of the trails that wind through the region exploring and discovering a new view around every corner. 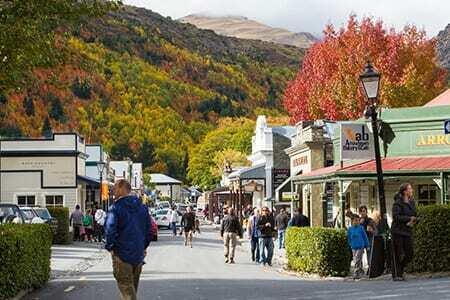 From the 23 – 28th of April, during the peak of autumn beauty, Arrowtown hosts an autumn festival. Activities include a “Pie, Pint and Pinot” day, parade and market day, a quiz, art expedition and much more! Check out Around The Basins “Most Popular Rides“. 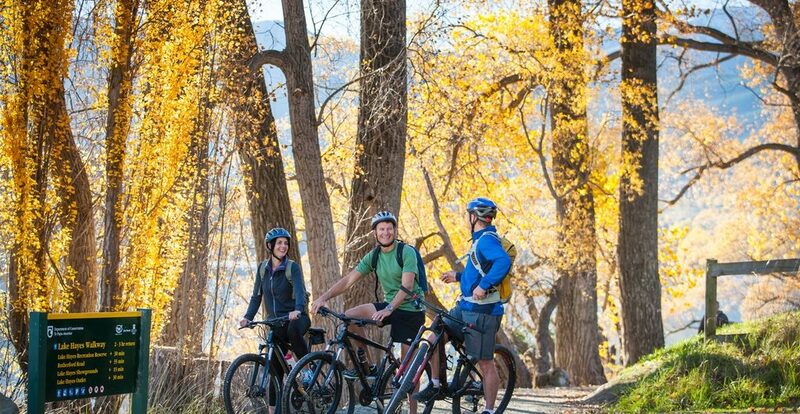 Many different ride options are available, whether you value time at wineries, of just want a biking adventure, there is something for everyone. Family friendly riding options are plenty! A typical view of Queenstown in Winter… snow on the Mountains, but not in the town or on the cycle trails. I know summer is an epic time of the year, the weather is warm and biking makes sense to me. But in the winter… Surely there is snow coating the streets and people are skiing and ice skating to work, right? Not in Queenstown! Here you can ride the cycle trails all winter long, May through to September! 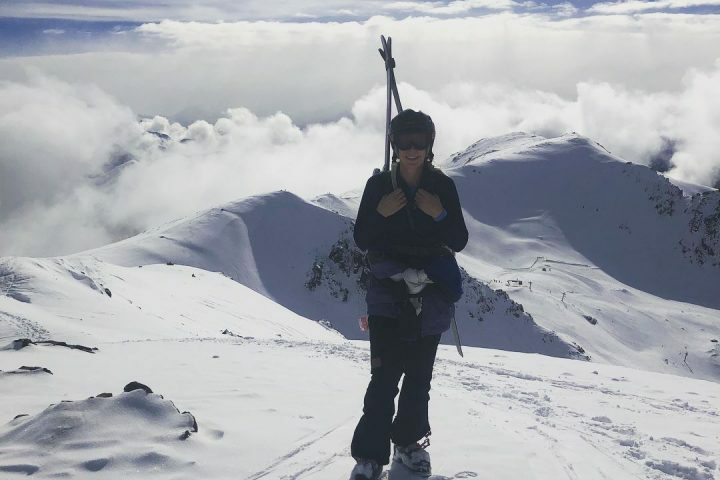 Sure, Queenstown is a ski town in the winter, but we are lucky enough to have a very positive relationship to the snowy months and that’s because we seldom get snow falling in the town, and when it does, it’s a beautiful novelty. No shovelling snow out of driveways for us! Most of the time, if it does snow down to the lake, the whole town shuts down, as driving the steep mountainous streets becoming a rather adventurous endeavour. People build snowmen, ski jumps in the back yard and generally don’t go to work or school. This happens roughly 5 days each winter… on these days you usually can’t even get up to the ski fields. 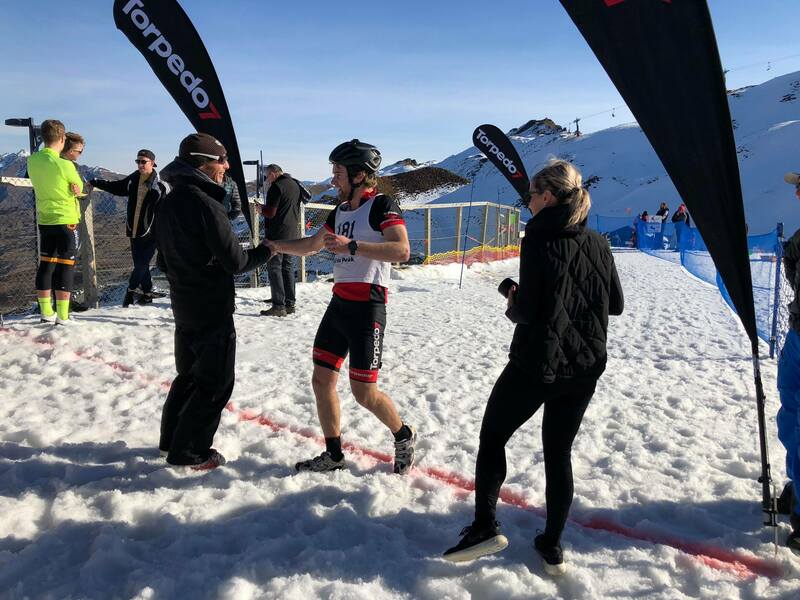 With an average high of 9 degrees celsius in June (middle of winter), it gets cold, but not Arctic in Queenstown and this means biking is still seen as a very attractive option. 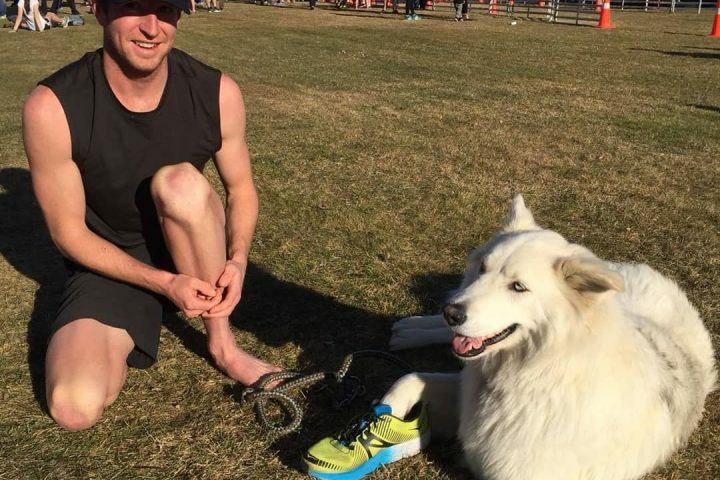 Because the trails are a gravel surface cold weather and even freezing conditions mean that the trail actually bonds together better than it does in the dusty dry of summer. Imagine loose rocks with tar bonding them, in comparison to loose rocks with dust between them… the cold temperatures act like tar, holding the pebbles of the trail in situ. 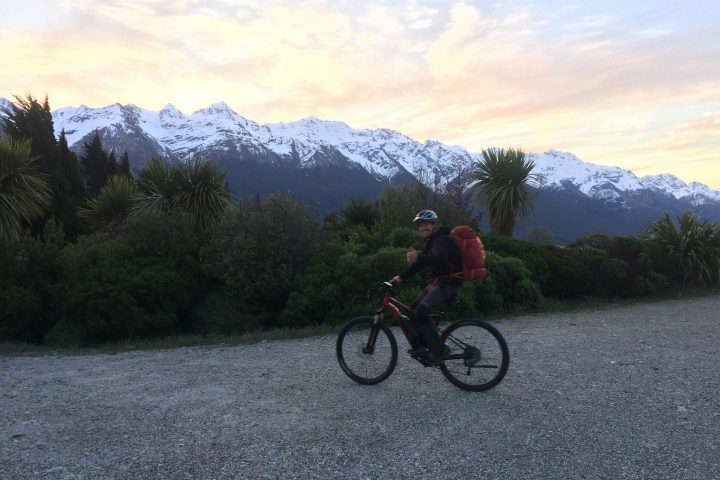 The pristine crisp and still weather that is typical of a Queenstown winter makes you feel alive and is a pleasure to explore by bike. You have to see it and feel it to really know what I mean… it’s invigorating and inspiring. A low snow day, still perfect on the trail. 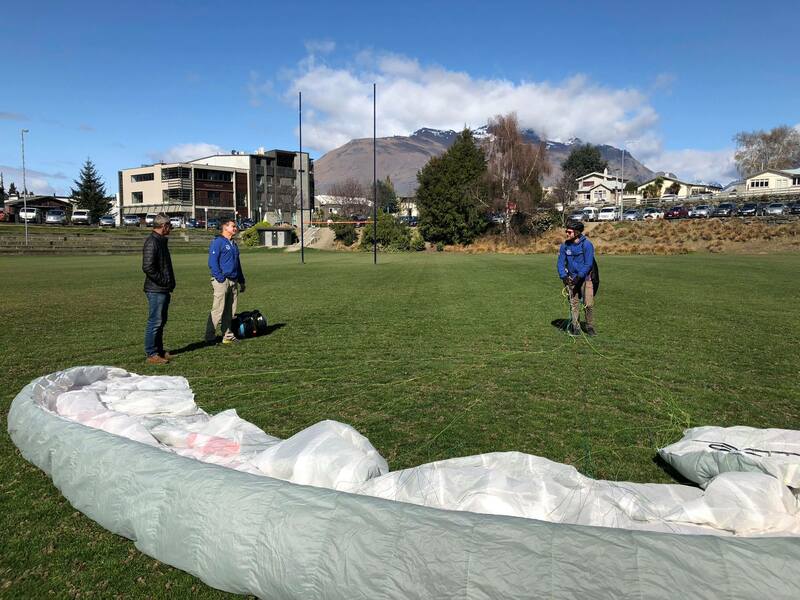 The great thing about Winter in Queenstown is that it is generally cold and dry. This means that if you chuck on a puffer jacket and some gloves, you feel great. We don’t have many days where it is wet and cold… the type of weather that gets into your bones. 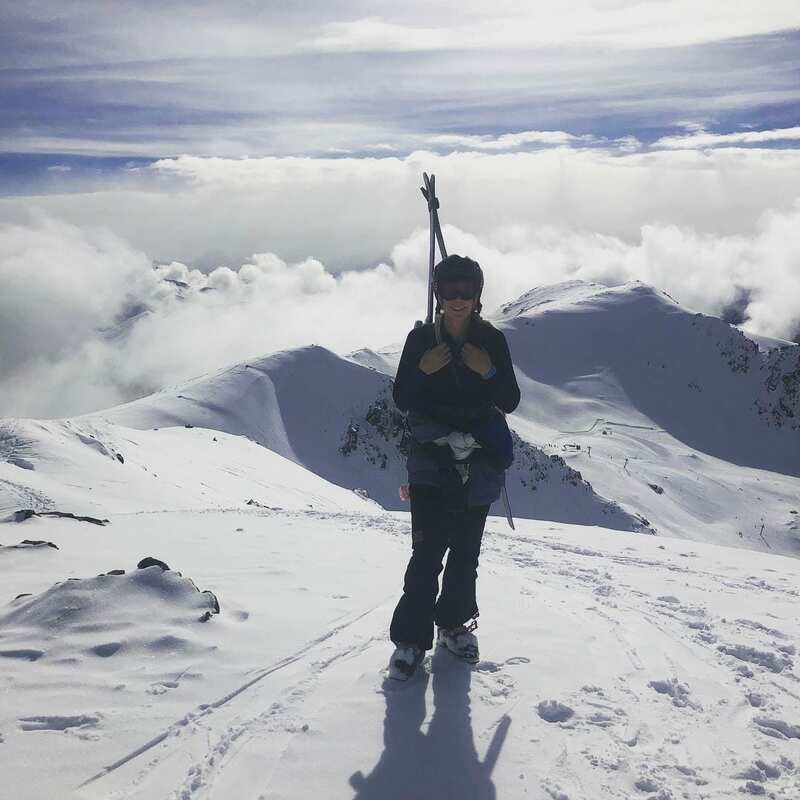 There are days in winter when the weather does come in and wind and cloud attack the mountains. You’ll be surprised to find that more often than not, the valley is still quite a comfortable place to be. 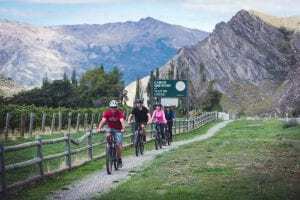 Shuttle out to Arrowtown, drink a hot coffee at Provisions Cafe and then ride to the wineries based in the Gibbston Valley. 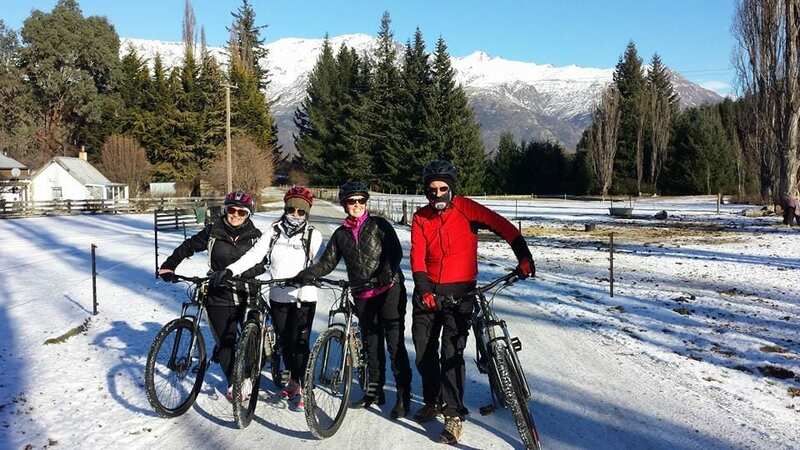 Dance venue to venue, with wine tastings and biking to keep you warm and happy. And did I mention the beer tastings and cheese platters? Or the wood-fire pizza available at the Gibbston Tavern? Riders outside of Provisions Cafe, caffeinated and ready to hit the trail. 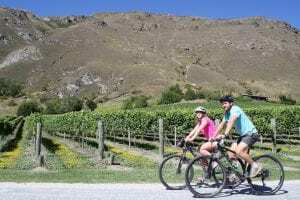 1) Bike The Wineries: Catch our shuttle to Arrowtown and ride through stunning countryside, downstream, to the Gibbston Valley, the home of 7 wineries, a tavern, micro-brewery and a “cheesery”. 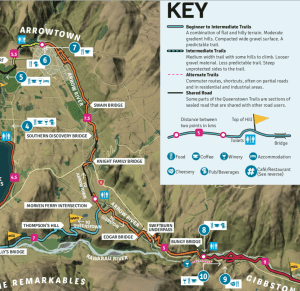 2) Arrowtown to Queenstown: 35km of stunning purpose bulit trail. 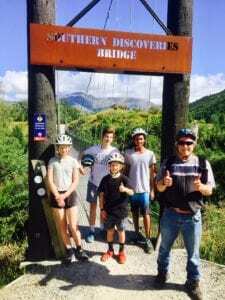 Shuttle to Arrowtown and ride your way back to Queenstown. 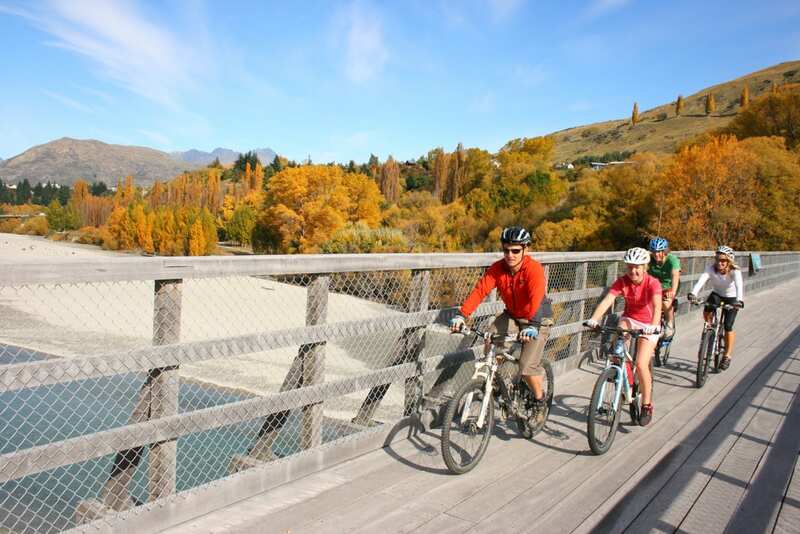 3) Hire a bike and ride around the Frankton Arm: Set off on the trail that leaves directly from Queenstown and cruise out to The Boat Shed Cafe. Enjoy a hot coffee with a stunning backdrop. Ride as far as you please and marvel at the glassy lake and snow capped mountains. Wow, where has this year gone!? Winter is at an end and we are already well into spring! So, what have we been up to and what’s new? 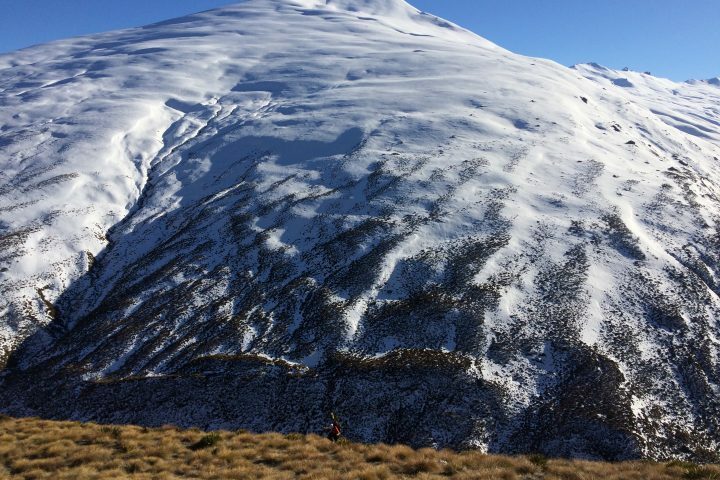 It’s brilliant to see how much our Queenstown Trail is growing and improving. 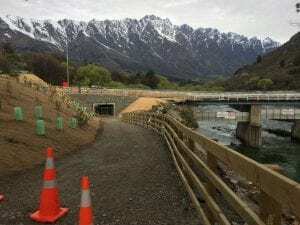 We are excited to see a new section of trail that now connects Tuckers Beach to the Old Shotover Bridge. This section provides fresh views and adds options, both as a ride starting point, and as a way to extend a ride. We have also seen significant improvements in trail connectivity, the highlight here being the new underpass near the Karawau River road bridge. This is opening soon, and will allow rides to sneak under the road to and from the Wakatipu Lake edge without crossing a busy road. The trail is also now marked even more clearly with colour coding. We have adapted our map to show these colours. Riders can explore the trail network with ease, confident they are on the right track. New trail development means exciting options for new products! 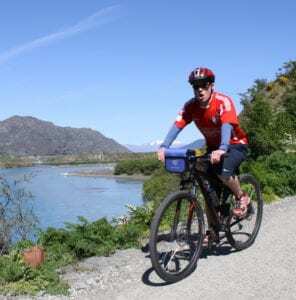 We are stoked to announce a new half day product this spring called the “Beach to Bay” This utilises the Tuckers Beach trail and follows the Shotover River, then connects to the Kawarau River and onwards to Lake Wakatipu. 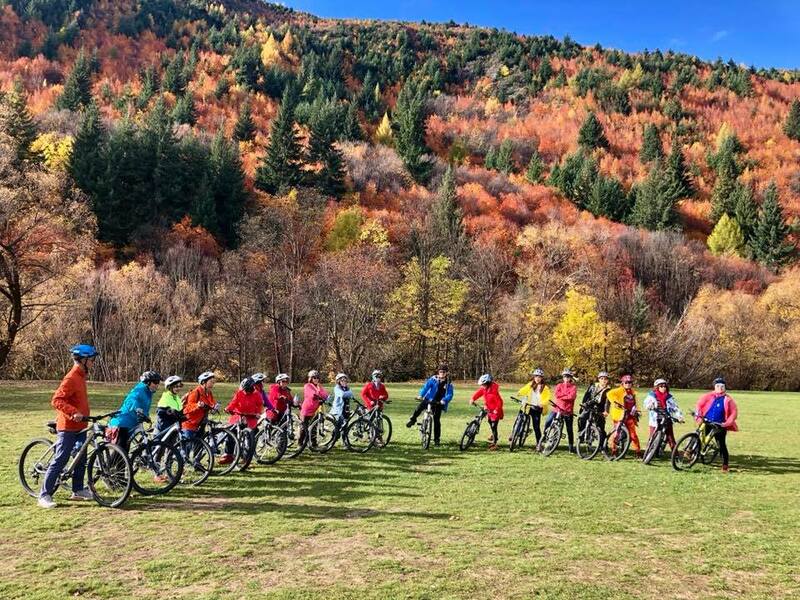 A truely scenic section of riding, great for all abilities. 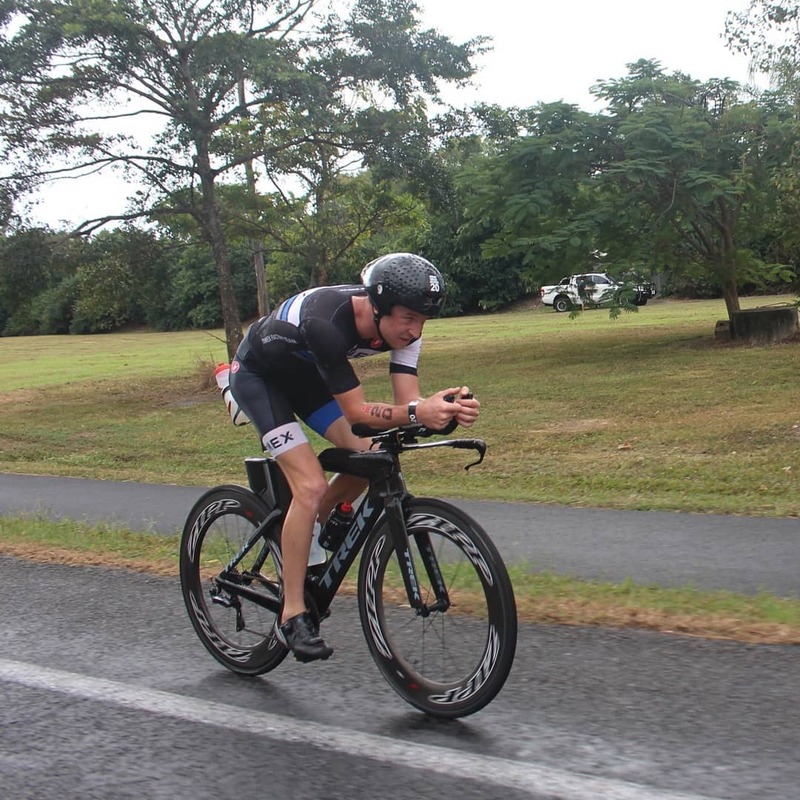 There are cafe options, such as the famous Boat Shed located along this lovely section of trail. 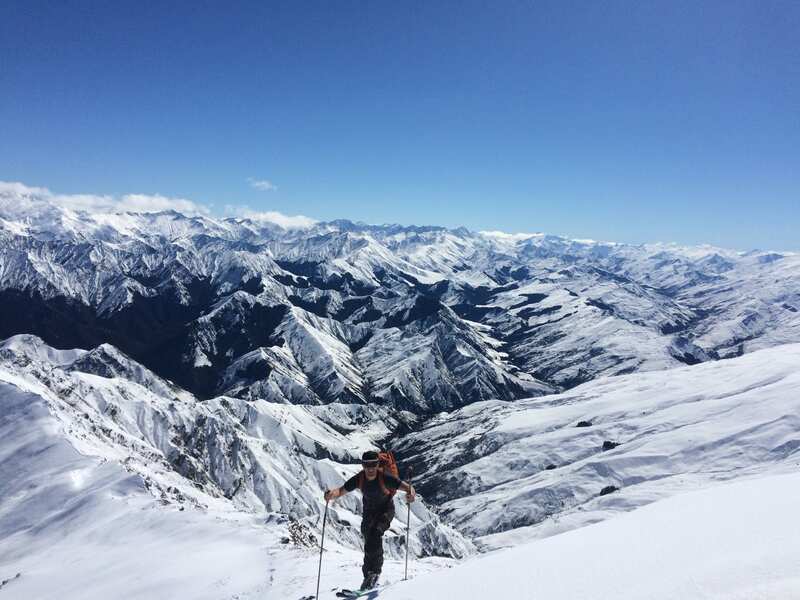 This winter our team have been busy pursuing all the good things that Queenstown has to offer. 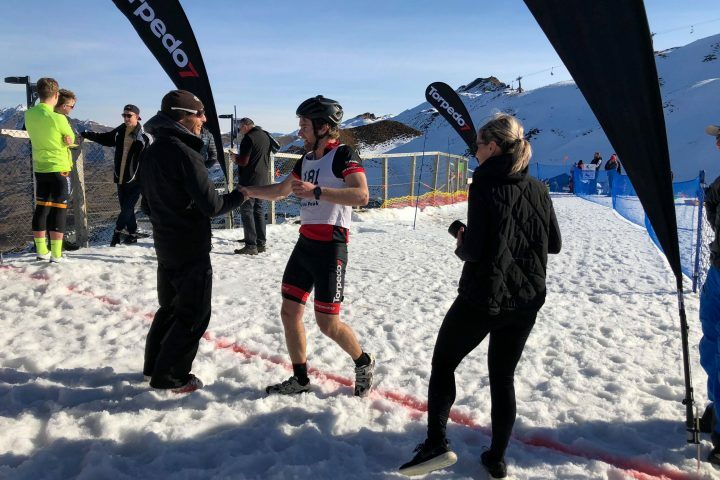 Biking, skiing, paragliding, trail running, kayaking and the rest… we are all stoked to live in this town and play in this inspiring environment. Let’s hope the weather is half as good as it was last year! 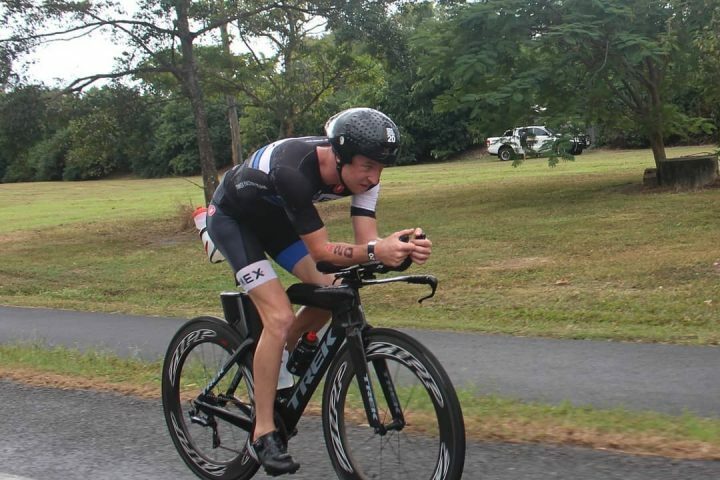 We look forward to having you out riding with us! Please get in touch if you have any queries, otherwise browse our site, have a read, watch some videos and get booking! 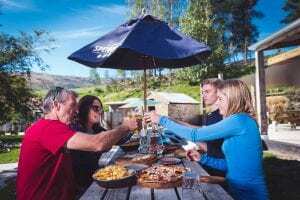 Tours do full up regularly during the summer season, so don’t wait until it’s too late. We are stoked to announce that our new website is up and running! Have a look around, it’s pretty cool! We have tried to present information in a simple and logical way to allow you to not only book with ease, but know exactly what it is you are booking. Have a play! Tell us what you think. Don’t miss it! from June 24th – July 3rd. 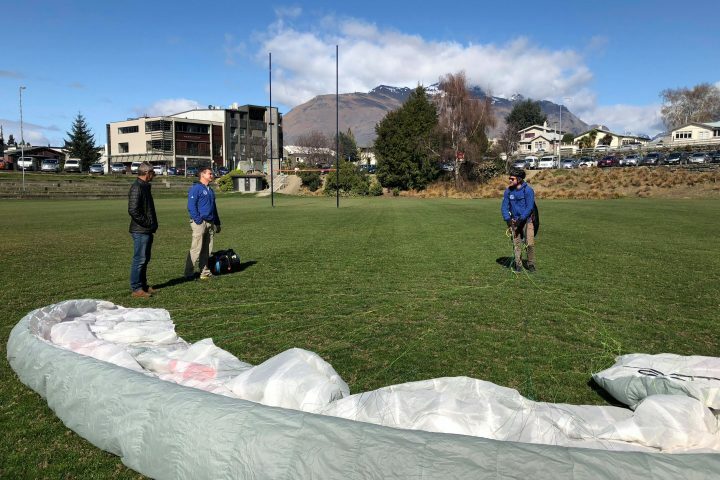 The American Express Queenstown Winter Festival celebrations liven up the town during this 10 day extravaganza! 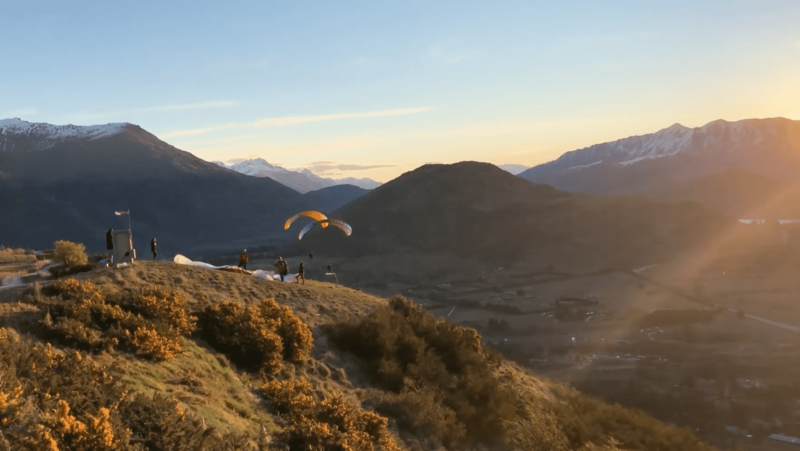 Experience Queenstown’s unique culture and community with street parties, fireworks, international and local acts, comedy, family fun, and plenty of Mountain Mayhem. Ticketed events are on sale now, plus there’s ample free events and sporting events to keep everyone entertained. 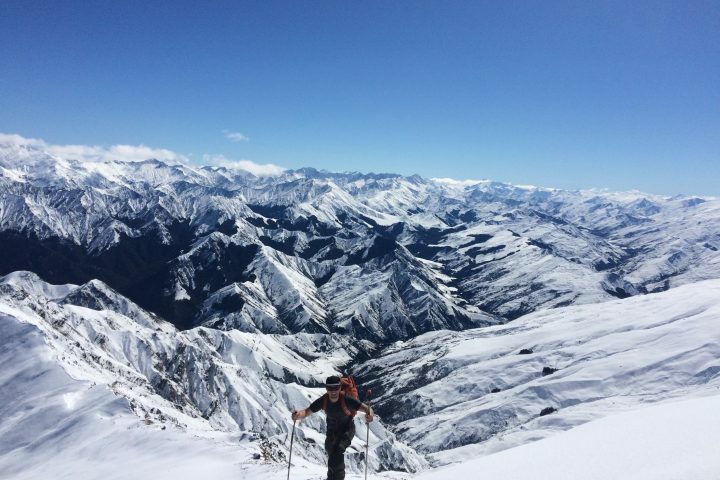 A great time to be in Queenstown and plenty of activities on offer for your aprés ride! The historic gold-mining village of Arrowtown is right on the Queenstown Trail. 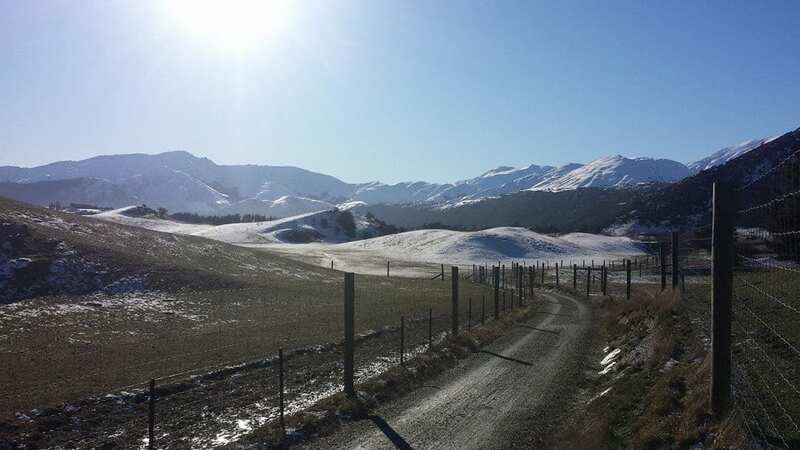 Just 20 minutes drive from Queenstown. This year the Arrowtown Autumn Festival is on from 21 – 25 April, perfectly timed during the school holidays and ANZAC long weekend. Join us to shuttle out there and experience part of this five day festival of entertainment. 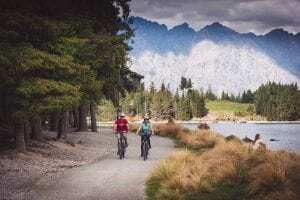 Explore the magnificient colours biking along the Arrow River Trail out toward Gibbston wine country or even further afield by biking back to Queenstown. Anyway you decide we’ve got you covered to experience Arrowtown’s spectacular display of flaming reds and golds – a sight not to be missed! 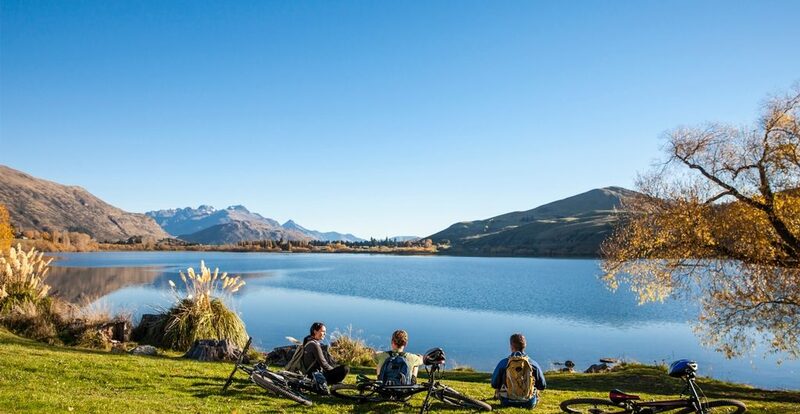 The Queenstown Trail has made it to the finals of NZ’s Favourite Places to Cycle 2016. That’s no surprise – these bike trails are truly awesome. 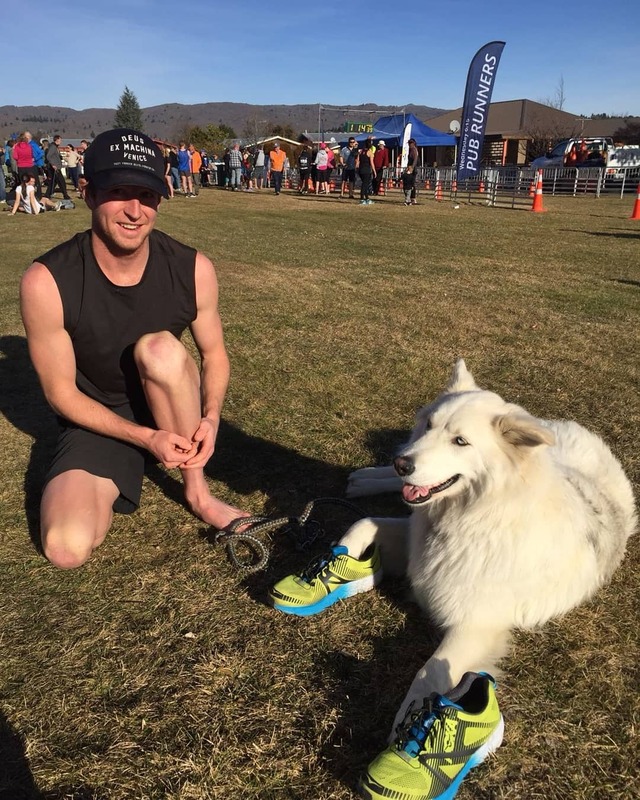 We’re up against some stiff competition though from the Hauraki Rail Trail, Hawke’s Bay Cycle Trails, Great Lake Cycle Trail, and Otago Central Rail Trail so hopefully we will manage to scoop the coveted title! The overall winner is announced on 2nd March! It’s been a huge biking summer for Around The Basin to date and we are looking forward to continued great weather through to April. The trails have been in primo condition throughout the summer and a bit of rain during the past week has settled the dust nicely. Motatapu in coming up in a couple of weeks so lots of people are out riding the trails in preparation – once again we’re looking forward to the spectacle!